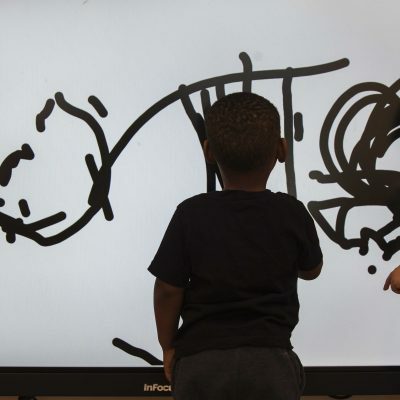 In art we aim to provide our children with a wide range of exciting, age appropriate varied opportunities that capture children’s imaginations and foster their interest to explore, discover and lean. 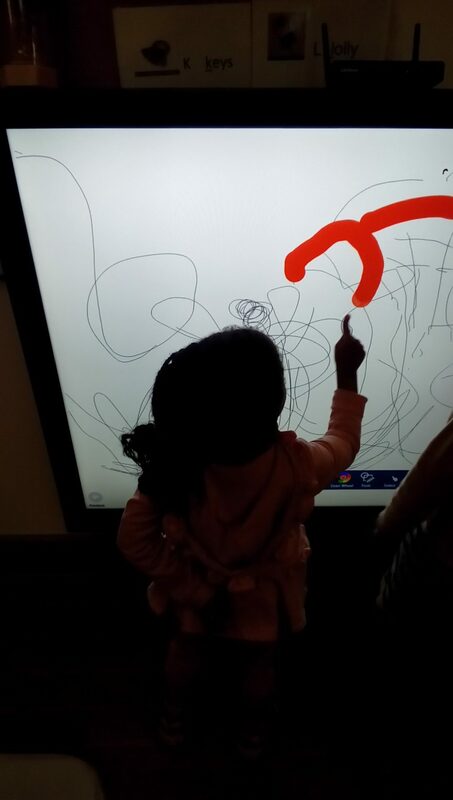 We aim to give children opportunities to explore materials and use different techniques so that we can develop confident artists. 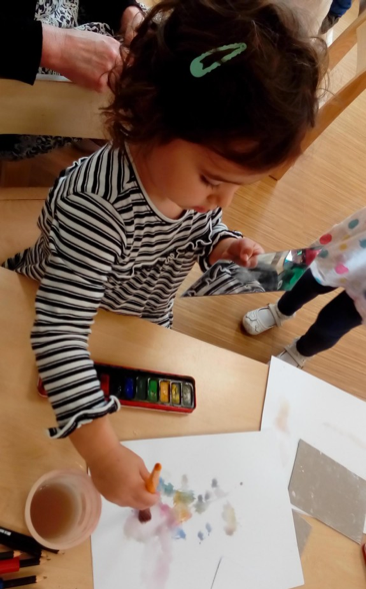 Our art projects arise out of the children’s interests and will last as long as the children are interested in that topic. 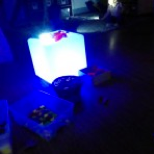 Recently our children expressed an interest in light and dark which led to an art project on light and dark that grew a life of its own and covered many of the areas of the Early Years Foundation Stage Curriculum, including knowledge of the world, mathematics, communication and language and physical development as well as creativity. 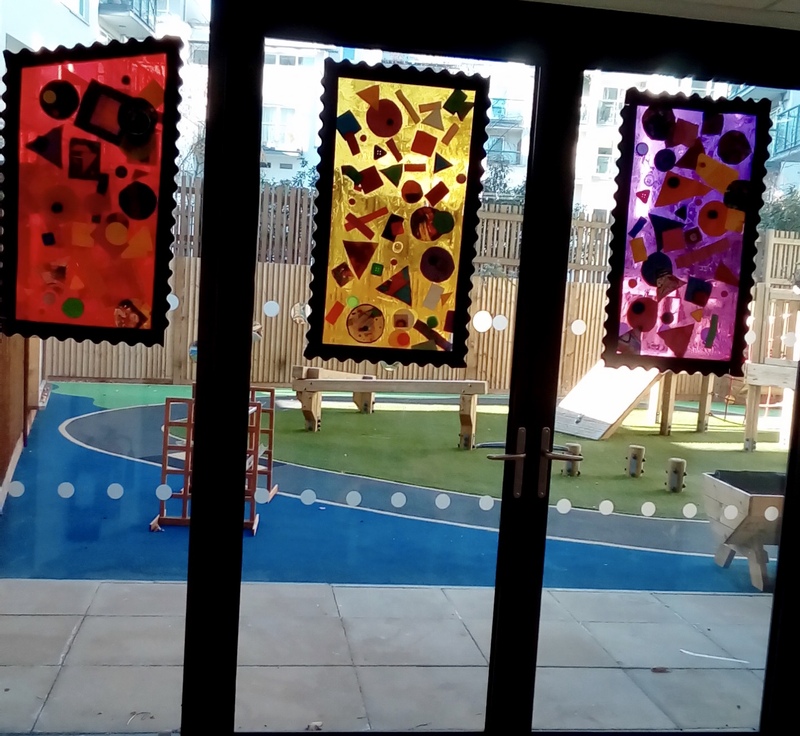 The project covered symmetry, reflection, shadows, diffusion of light, chiaroscuro, light sources and rainbows The children used torches, mirrors, overhead projectors, prisms, DVDs light boxes and an overhead projector. 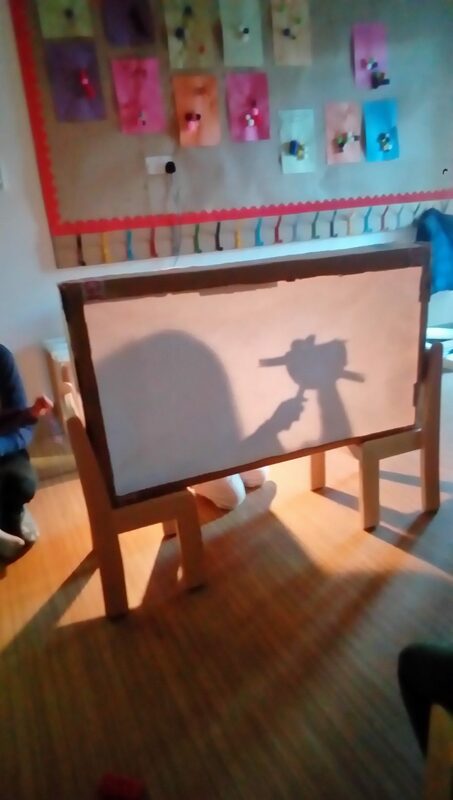 They experimented with screens and shadow puppets, UV light which fascinated them and glow in the dark objects. 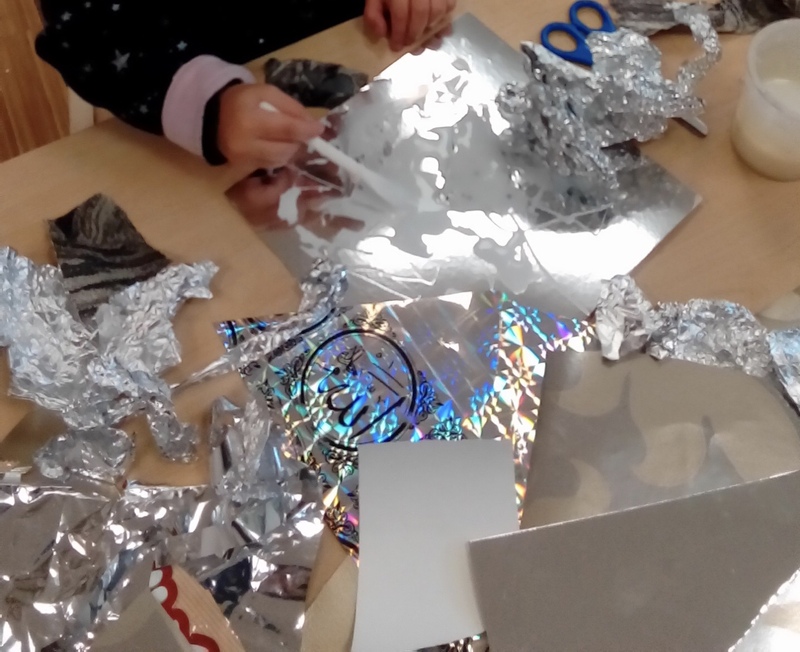 We explored light and dark materials such as ink, charcoal, chalks, neon colours, metallic and reflective colours. We talked about starry skies and nocturnal animals. We went to the park at different times of the day and observed the natural light at the different times and in late Autumn and then in Winter. We talked about how different the light looked and how different the light made the trees look. 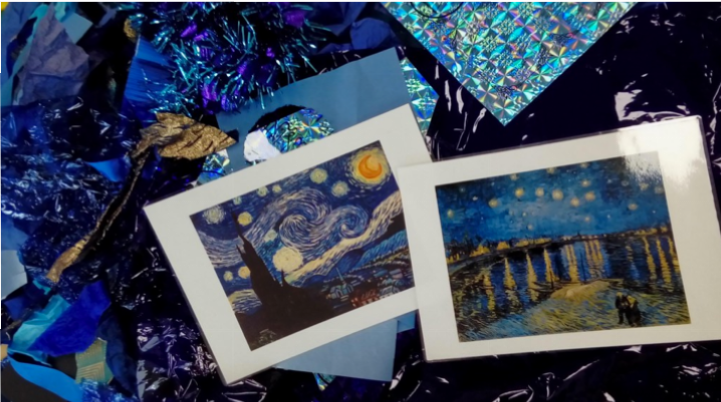 Through this project the children were introduced to a wide range of different artists such as Caravaggio, Vincent Van Gough, Claude Monet and Pointillism. 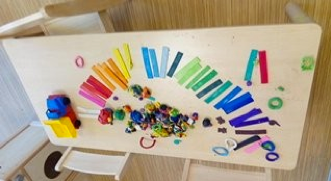 Many of our art sessions were inspired by Regio Emilia and their Ray of Light Atelier approach. The children learnt so much through their work with light and dark. We listen to them talking about their shadows, chasing and stomping on them. They delight in noticing the shadows when the sun comes through the studio windows. They know that they dont see shadows if there is no light. Our children know the word reflection and understand what a reflection is and will comment on reflections as they pass mirrors or look into water. They know the names of colours such as turquoise and vermillion and are adept at mixing amazing colours when making play dough or paint.